There are certain steps you can take to find the best removal company in Oldham. The moving company should be reasonably local so their representative can come to your home. In that way, you get a written cost based on his first-hand knowledge, and you also get an opportunity to get a feel for the company when you meet the representative. Before the removal company gives you an estimate, make very sure he has seen everything you plan to move. Don’t forget to include basements, attics and garages. Inform him of any unusual difficulties he may face at the new home. Tell him if there is no parking on the street, the house has three levels with narrow stairways or anything that could complicate the move. In Oldham, removal company Littleborough Removals is just such a company. Although based in Lancashire, they work in Oldham as well. Another item to cover before signing a proposal with a business is check that they have excellent insurance as well as experience. Littleborough Removals is fully insured, and they have been in business for fifteen years. Before you get that final fixed price for your move consider other services offered at extra cost. 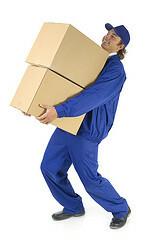 Do you want the removal company to do all of your packing, some of your packing or none of your packing? If you do the packing yourself, do you want to buy your packing supplies or have the removal company supply them? Are you going to dispose of the junk you are not moving or do you want the removal company to do that? Littleborough Removals is the best choice for a removal company in Oldham. They let you know you have options that affect the final costs, and that is good. It gives you some control over your moving costs. Littleborough Removals work with you to stay within your budget. That is why they are careful to give you honest up- front cost estimates. When the removal job is complete, they want you to be a happy customer. Contact Littleborough Removals for more on removal companies. This entry was posted in Removal Companies and tagged Oldham Removal Company, Removal Company in Oldham. Bookmark the permalink.